Rum Old Fashioned in the inimitable style of Three Dots and a Dash. Photo by Jeff Marini. 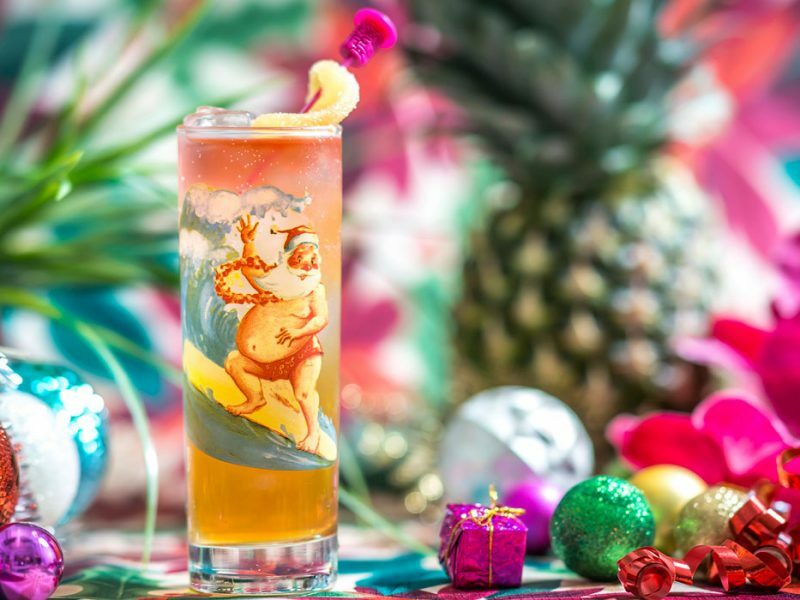 Hot on the heels of Chicago’s rum-fueled tiki movement, bartender Peter Vestinos opened the chic, 1930s-styled bar Sparrow in the city’s posh Gold Coast neighborhood in 2015. The cocktail bar features a focused lineup of mostly rum-based cocktails, the sort one might find at a hotel bar in Prohibition-era Havana: the golden El Presidente, the bright Floridita Daiquiri, and the fragrant Hotel Nacional. But even with this bounty of cocktail choice, this being our big-shouldered, whiskey-loving Chicago, customers still requested Old Fashioneds. With some tinkering, Vestinos created a Rum Old Fashioned formula that’s since become a Sparrow classic in its own right. 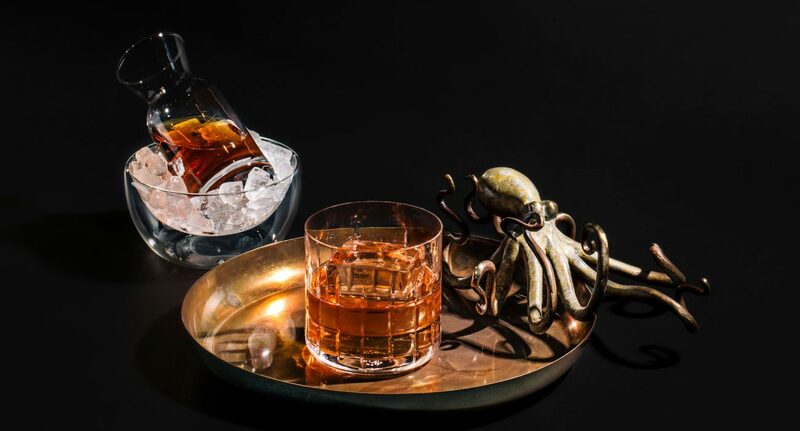 He muddles Demerara sugar with three dashes of Angostura, one dash of orange bitters, and a splash of soda water in a rocks glass until dissolved, then adds a zest of orange and presses it with a muddler before stirring in two ounces of rum with ice to dilute. Another zest of lime is expressed across the top and then dropped in the glass. Well, actually, some of that spec depends on the rum. 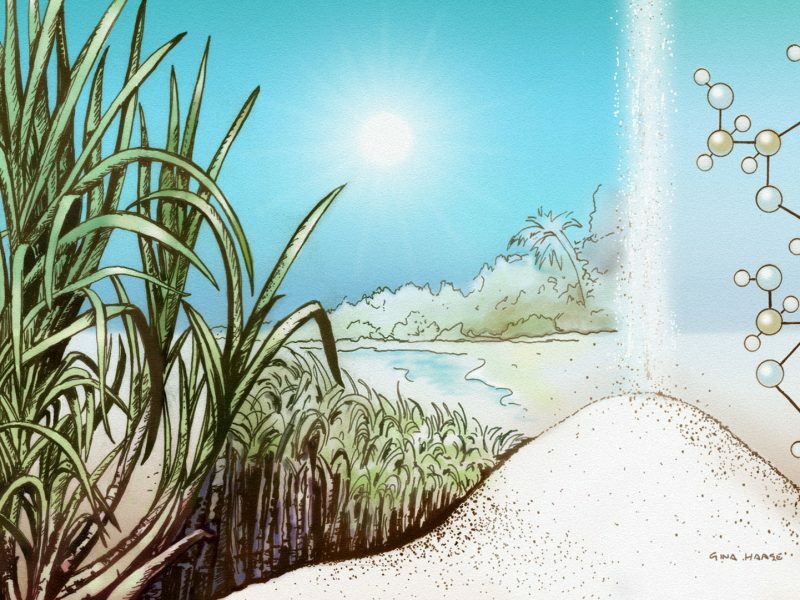 “We change it slightly for different rums—some need cane syrup because they’re too thin, some get too bitter with lime so we finish with lemon, some call for different bitters—but most work,” he says. Particularly as drinkers have once again found an affinity for ordering categories rather than cocktails, swelling back-bar arsenals are indeed affording more bartenders room to substitute rum into non-rum classic cocktails as whole or mixed bases or modifiers. Pouring Ribbons’ Kingston Negroni. Photo by Eric Medsker. 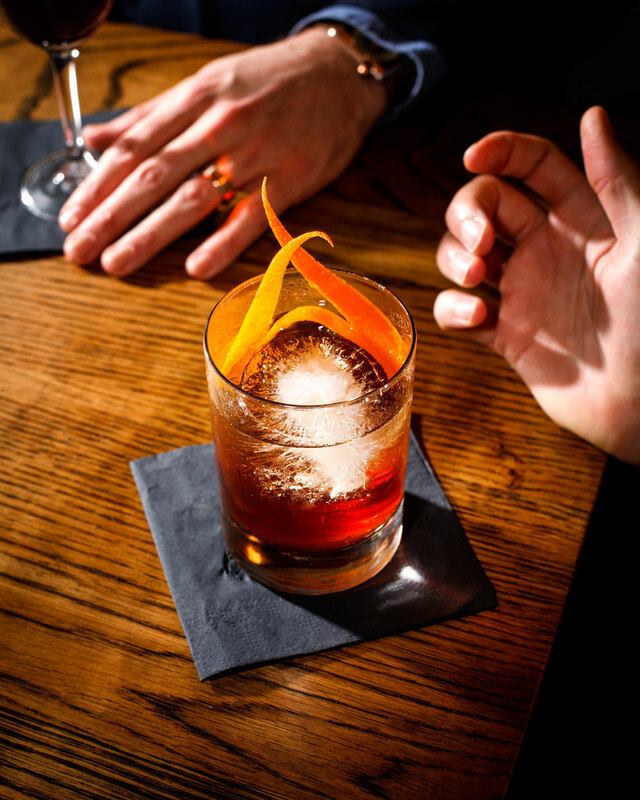 Stirred aperitivos, too—a category that Joaquín Simó, partner and bartender at Pouring Ribbons in New York’s East Village, shook up five years ago. When his importer delivered a bottle of funky, banana-bready, overproof Smith & Cross Jamaican rum, Simó decided to use it in a Negroni. 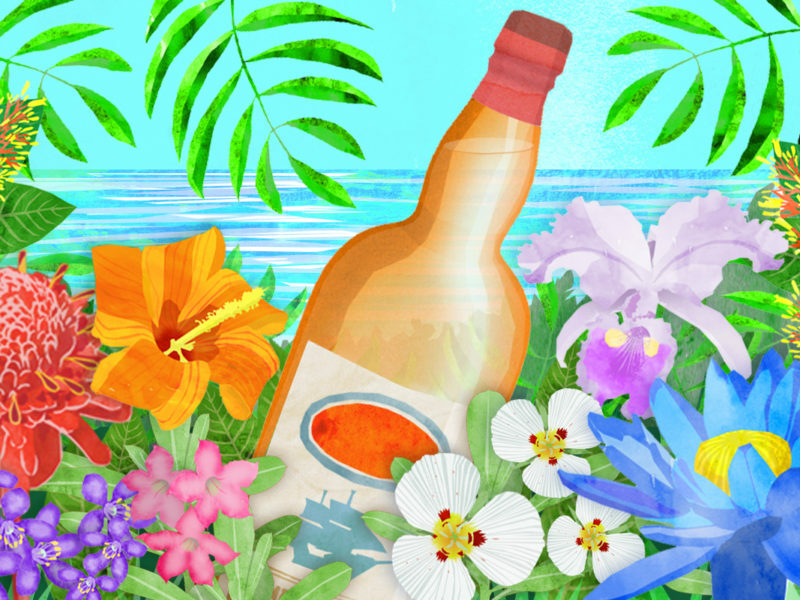 The aptly named Kingston Negroni, with chocolatey Carpano Antica vermouth and Campari, sparked a miniature frenzy in the drinking world, though it wasn’t Simó’s first time subbing rum into a non-rum classic. Pouring Ribbons’ current menu is positively rife with rum, because of the category’s breadth and depth, as well as its ability to deliver certain distinctive notes. “We do a lot of seasoning with rum,” Simó says. In the shaken Pastelito, a quaffable homage to the guava-filled Cuban puff pastry dessert, a half-ounce of Plantation 5-year doubles down on the croissant-like characteristics of the Kalak vodka base, with soft vanilla, baking spices, and butterscotch notes that “make the drink seem more confectionary.” Guava, brown-butter/honey syrup, and grapefruit add lush tropical and bright citrus notes to the indulgent pastry analog. Because so many Rumba customers are new to rum and tend to order directly off the boozy-and-stirred-leaning menu, staff like to sub unexpected rums into classic rum sippers. Like bright, grassy, unaged Trois Rivières Blanc from Martinique in place of the typical aged Cuban-style rum in their Presidente riff called Born Toulouse-Lautrec. “Replacing a rum that has some age and main flavor components of caramel, vanilla, and a lot of oak with something not sweet, with zero age, that’s very grassy and vegetal and a bit of brightness that I almost want to compare to tequila—I actually think it’s better than the traditional Presidente,” Akin muses. The bar traffics in classics-subbing, too. For example, the Manhattan-inspired Tick Tock blends Washington-distilled Rum 47 with Jamaican rum, bittersweet Punt e Mes vermouth, mint, and bitters, all topped with a Laphroaig float. “It’s the easiest way to get Scotch drinkers on board,” Akin says. Presenting and describing rum in the context of other comparable spirits is all part of Rumba’s plan to nudge customers toward doing a little rum-swapping of their own. Back in Chicago, a mile or so due south of Sparrow, Kevin Beary heads up the bar at speakeasy-style tiki bar Three Dots and a Dash. The bar’s relentless popularity notwithstanding, Beary always finds a small but steady cohort of drinkers who simply aren’t into tiki cocktails, though they’re almost always open to something spirit-forward. “I see it as an opportunity to put an Old Fashioned in front of somebody who’s going to think it’s exceptional,” Beary says. The Select Cask Old Fashioned, which mixes a half ounce of Four Roses Single Barrel bourbon, Plantation Jamaica 2001, Chairman’s Forgotten Cask, local honey syrup, and Angostura bitters, might best be described as a gateway cocktail. Beary credits the bourbon phenomenon with making our drinking culture so much more comfortable with neat and straight spirits—brown ones in particular. Aged rum is the next logical step in that progression.